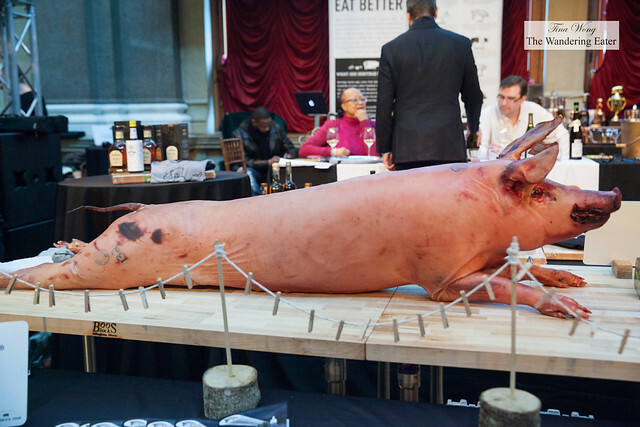 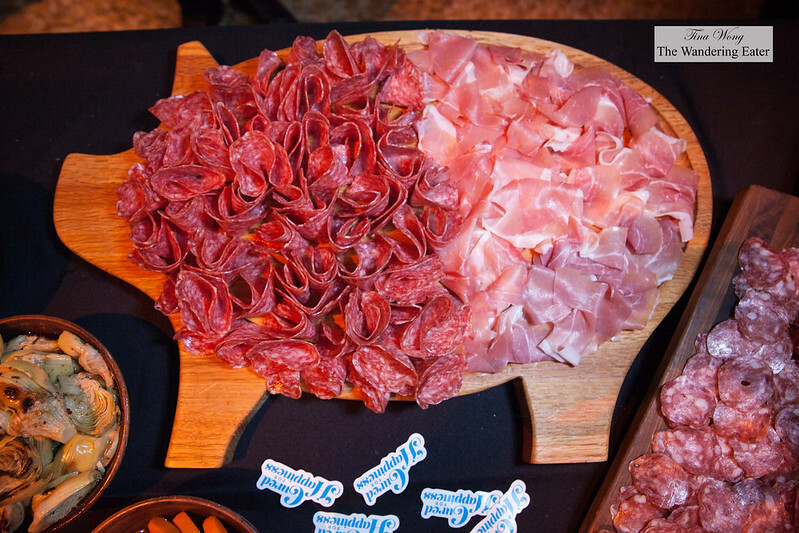 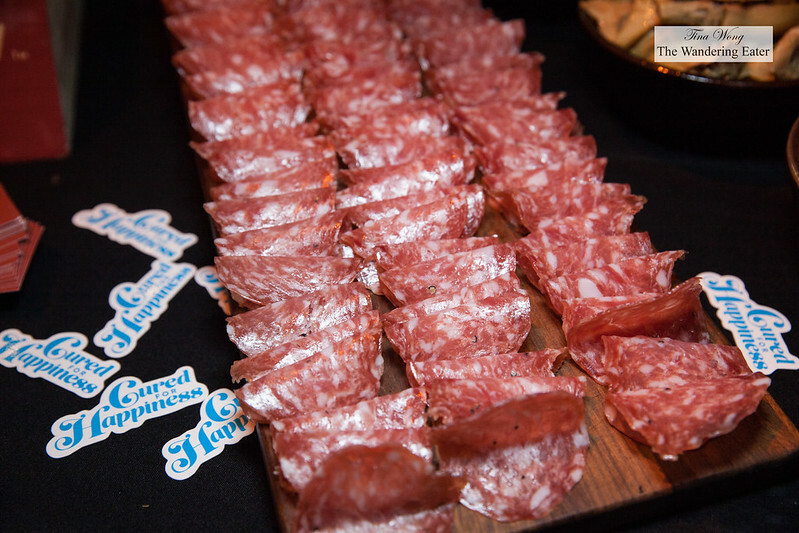 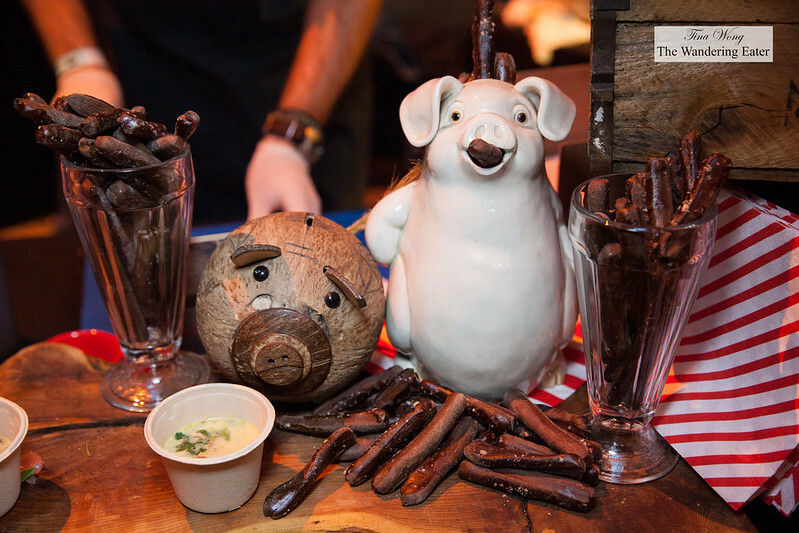 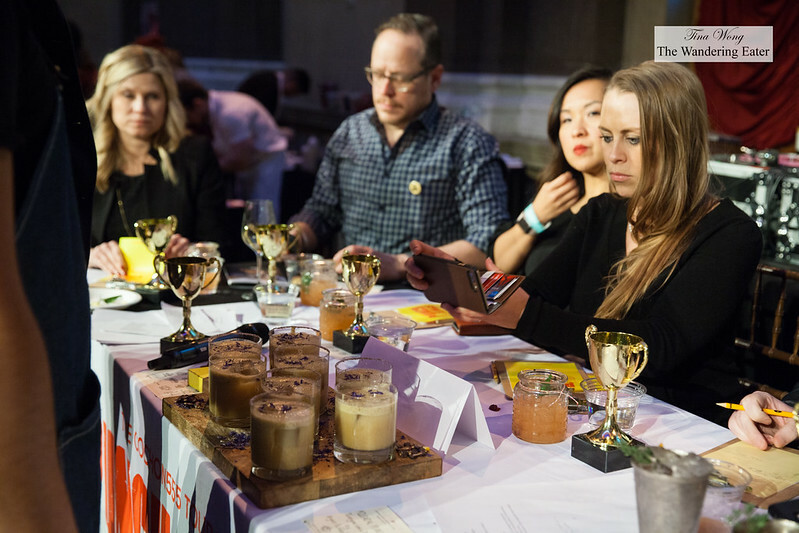 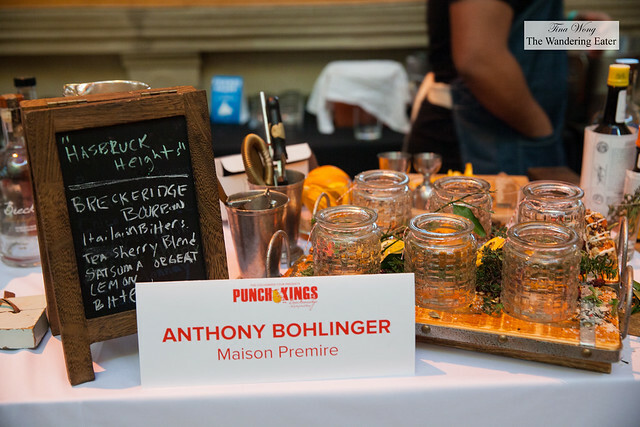 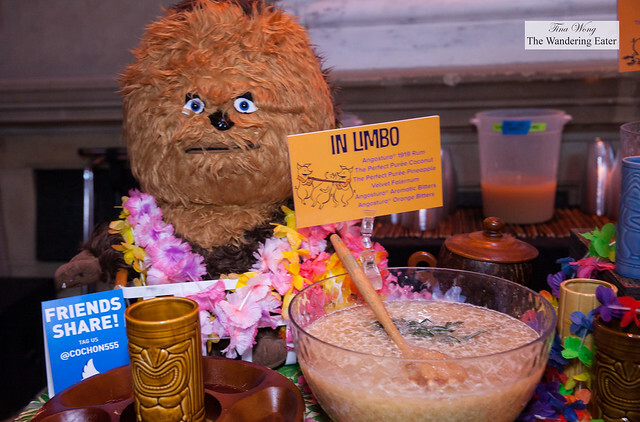 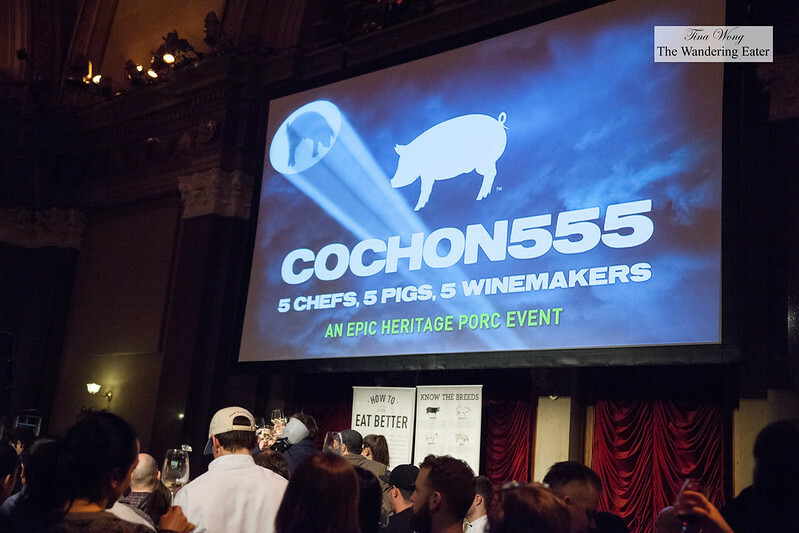 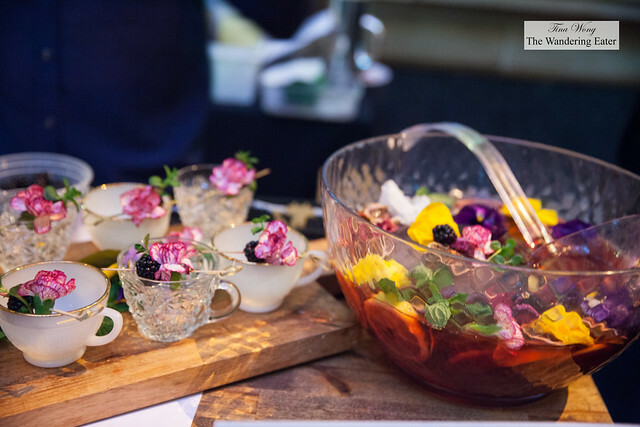 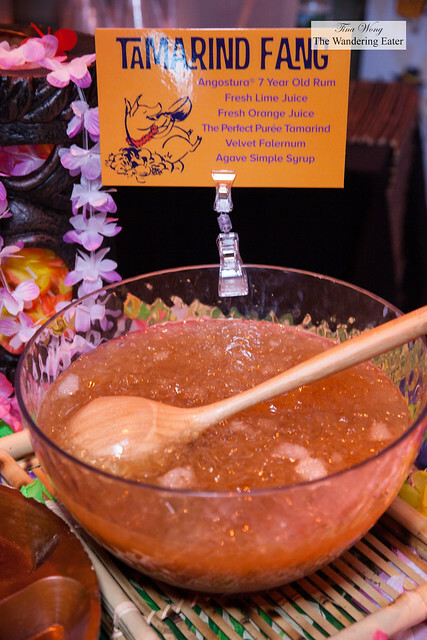 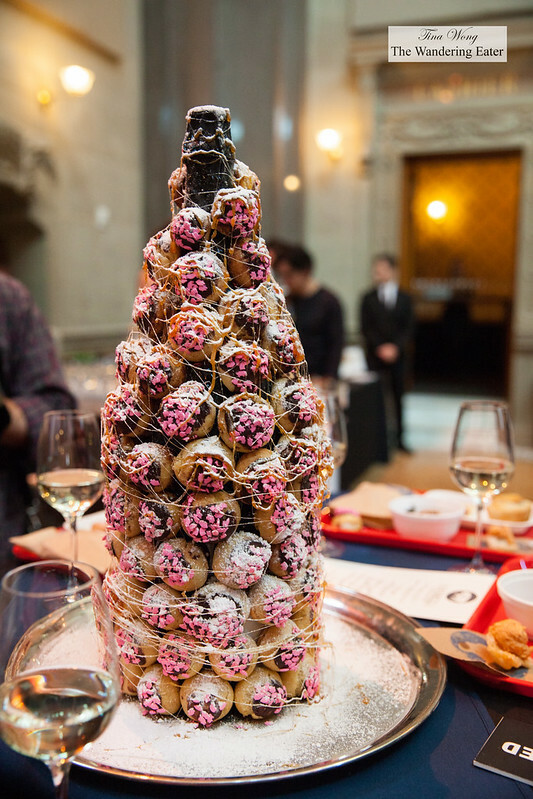 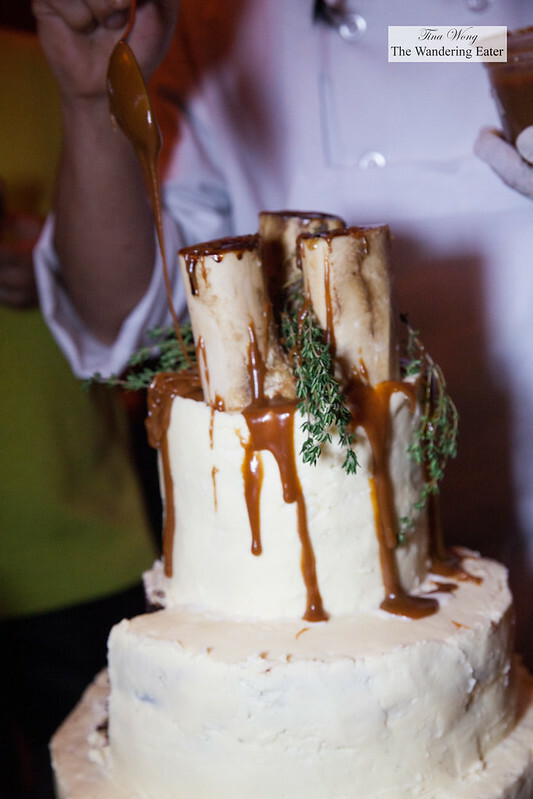 Cochon555 is back again for 2017 and they are generally the first big food event to kick off the year. 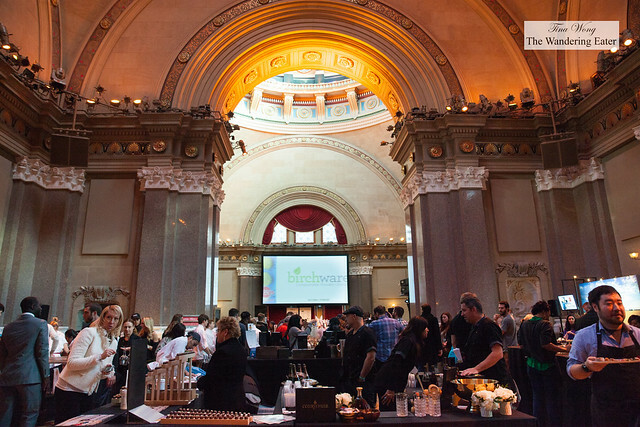 For me, it’s been a couple of years since I’ve last been to this event and while most of this is familiar, it’s in a gorgeous venue of Weylin that is formerly the Williamsburgh Savings Bank. 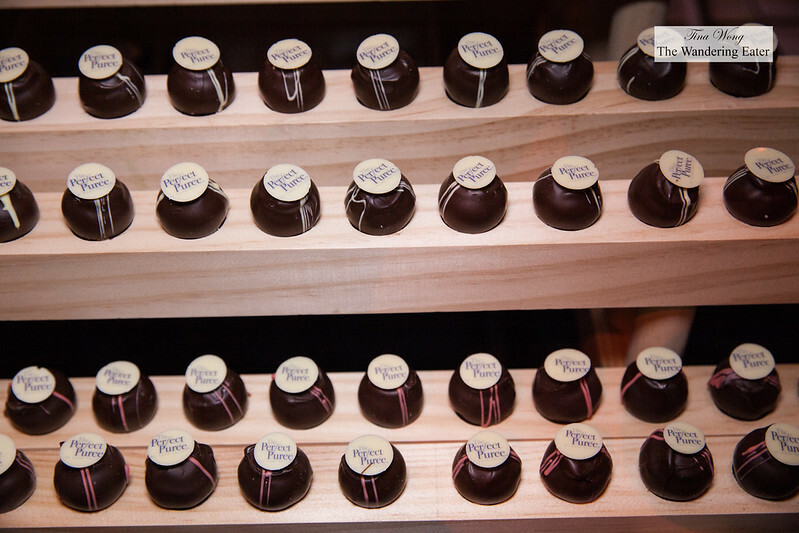 At the beginning of the event, we can’t help but look up and around the beautiful Art-Deco domes of the rooms. 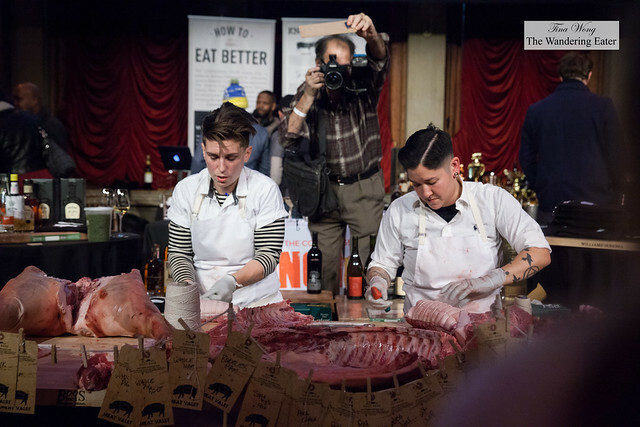 The format is generally the same, having five local chefs cooking with heritage pigs and compete for the title, Prince or Princess of Pork. 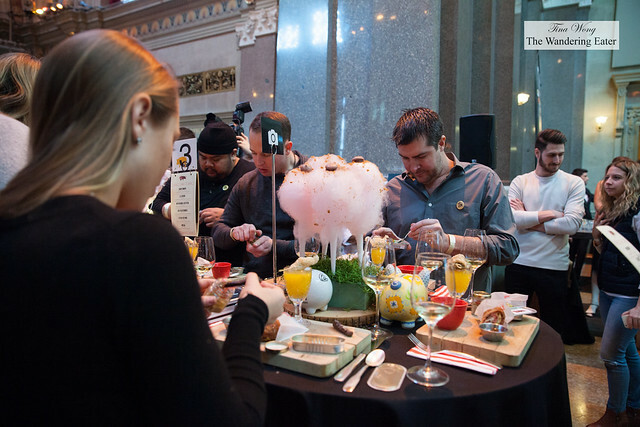 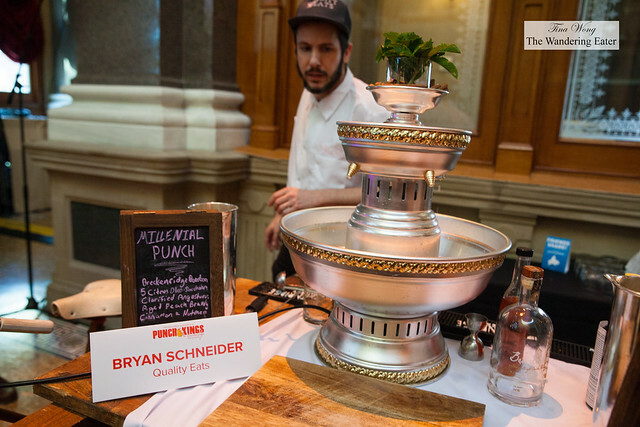 The chefs who competed this year were: Nicole Gajadhar of Saxon+Parole, Ryan Bartlow of Quality Meats, Greg Baxtrom of Olmstead, Aaron Hoskins of Birds & Bubbles, and Chris Szyjka of Chef’s Club by Food & Wine. 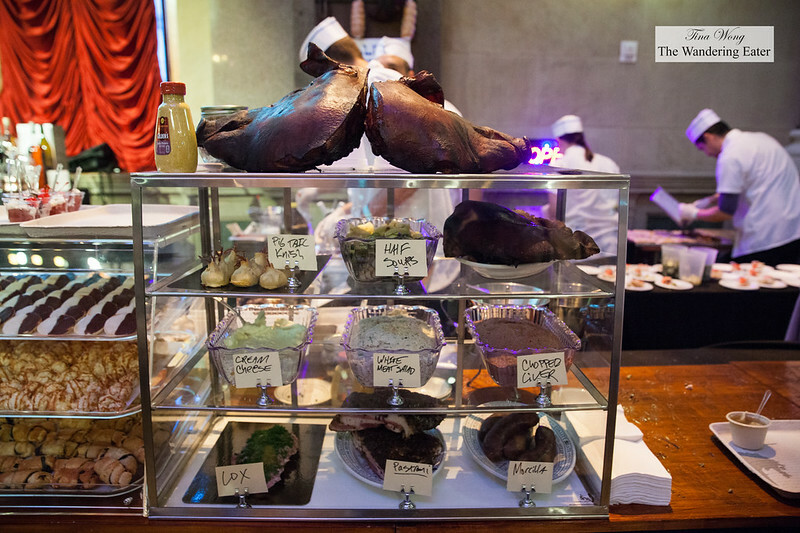 Walking through the table of Chef Nicole Gajadhar of Saxon + Parole, we’re pretty excited to see the beautiful bites she and her crew were cranking out. 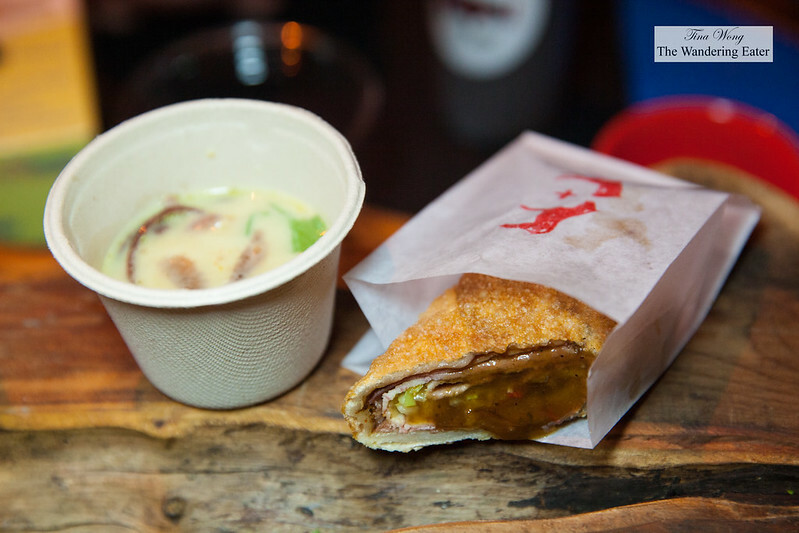 The coconut curry based soup with pork and pastrami egg roll with tamarind sauce were incredible. The crispy and hot pastrami egg roll topped with tamarind sauce was arguably the best we’ve eaten in New York City (and there’s too many restaurants doing that and don’t succeed). 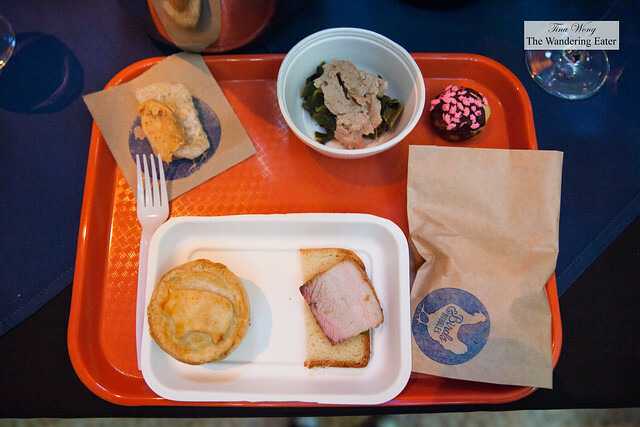 There was a creamy, smoked pork with lardo and uni served in an adorable tin can and it was so good that we had to have seconds and thirds. 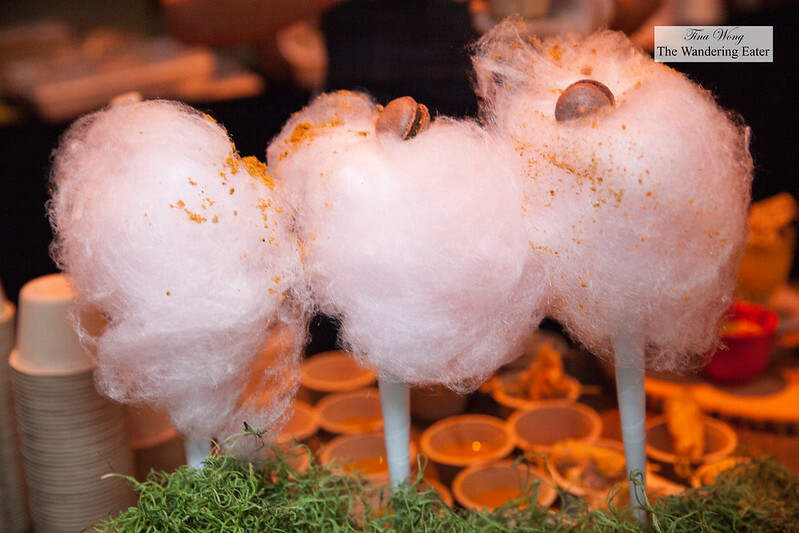 The cute cotton candy dusted with pork dust and pork blood macaron was fun and actually works. 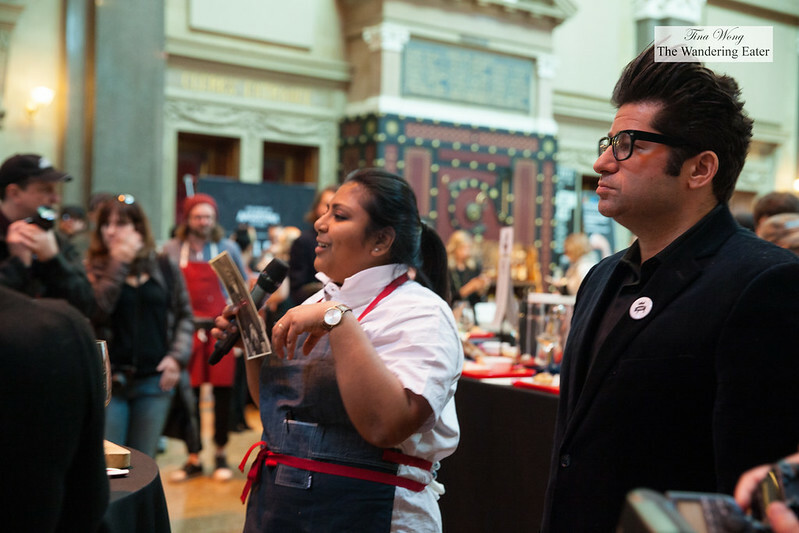 It was not surprising to find out at the end of this event, Chef Gajadhar won the title Princess of Pork. 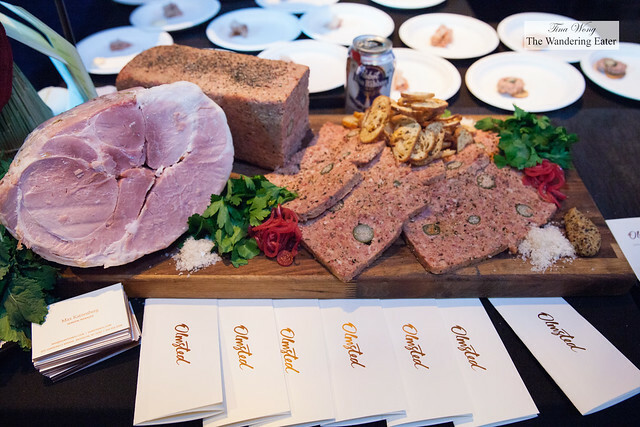 The other strong contender we thought was the New York City Jewish delicatessen inspired menu by Chef Ryan Bartlow of Quality Meats. It’s a novel idea and most of the savory items fared out the best. 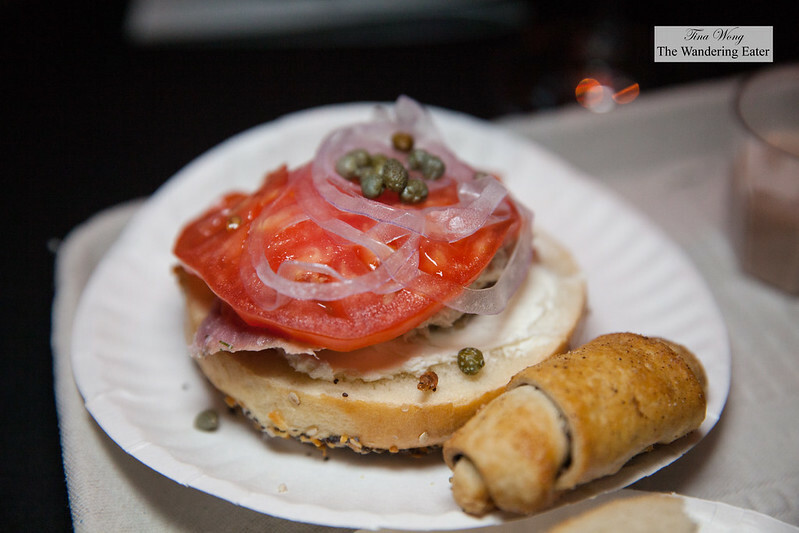 The typical whitefish salad topped with fresh tomato, pickled onions and capers on a bagel was changed up a bit by adding thin slices of cooked heritage ham. 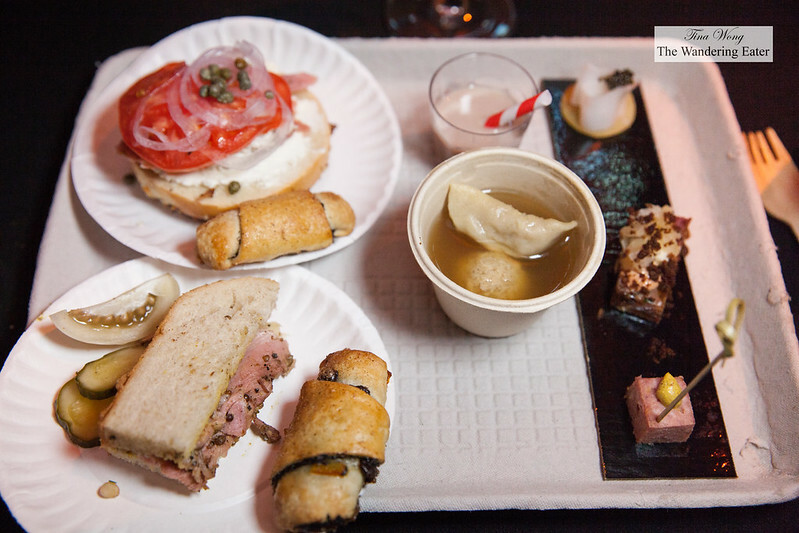 The traditional matzo ball soup with chicken dumpling was the best I’ve ever eaten. 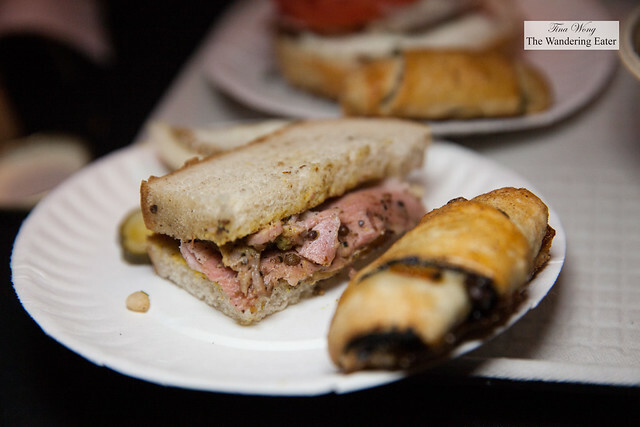 The classic pastrami sandwich on rye was very good as well. 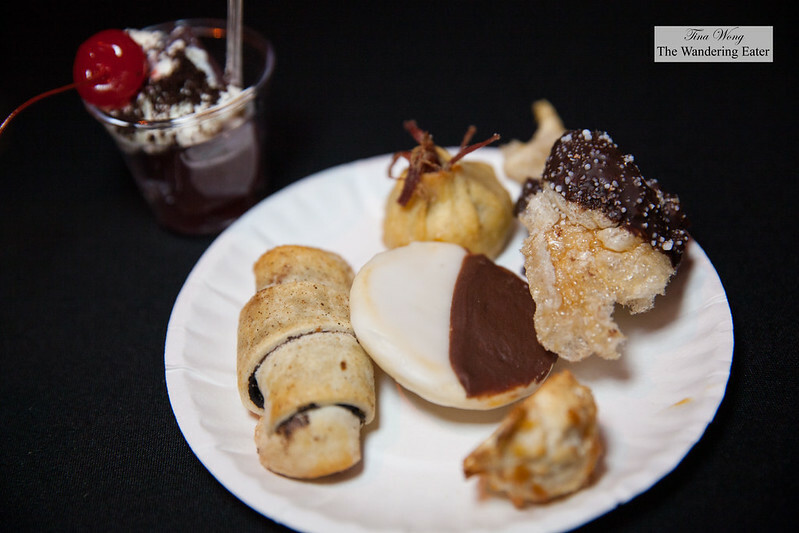 The rugelach filled with blood sausage and candied orange was generally fine but for me, felt unbalanced since I can’t taste anything besides the candied orange. If there was an epic line to wait for this entire event, it would be the ramen pop-up from Brooklyn Ramen partnered with Wines from Germany. 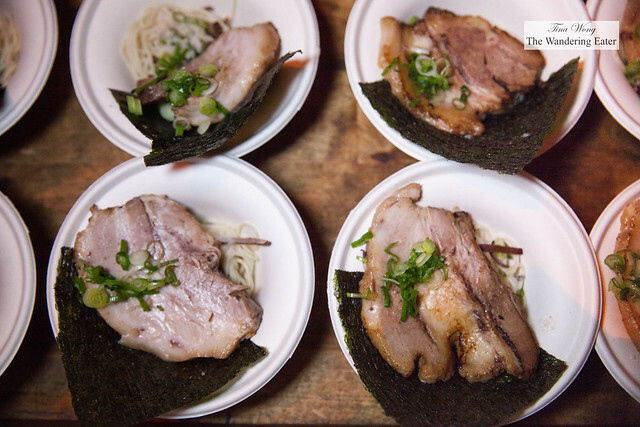 People started to wait at least 20 minutes prior to the start of distributing the tasting bowls of delicious ramen and the line stretched all the way back to the other room. At any rate, it’s a very solid bowl of ramen. 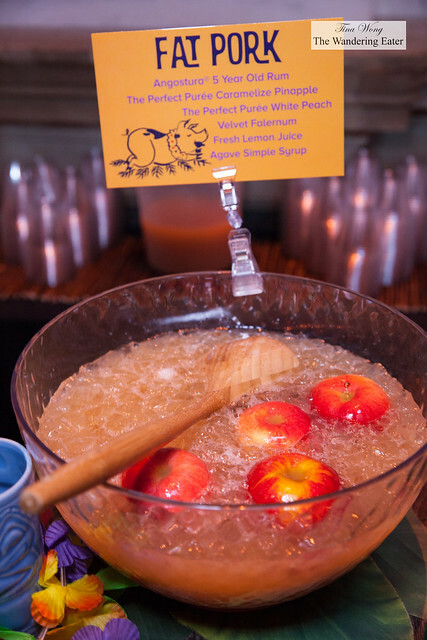 The straight noodles are from Sun Noodles. 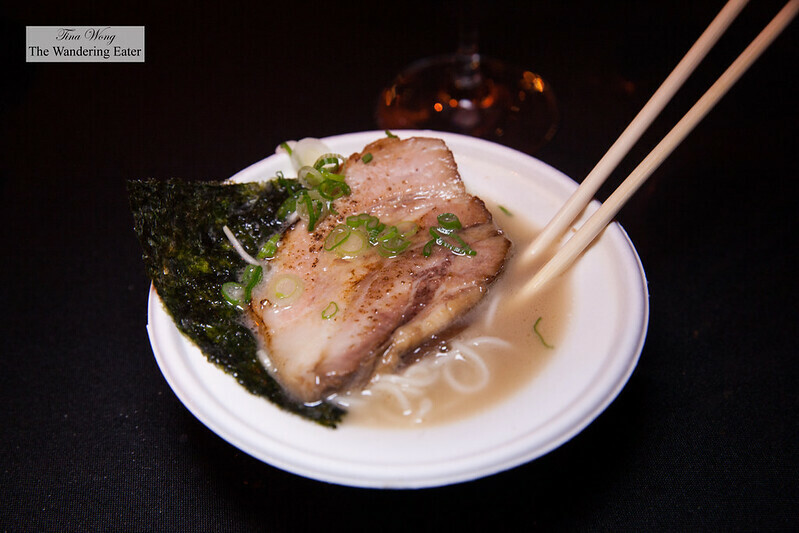 The silky tonkotsu pork broth is made with heritage Berkshire pork bones and the large, blowtorched pork belly slice are from the same pig. This year, there’s two badass female butchers from White Gold Butchers, Jocelyn Guest and Erika Nakamura breaking down the beautiful, versatile pig. The various parts of the pig were for a charity auction called Piggy Bank.